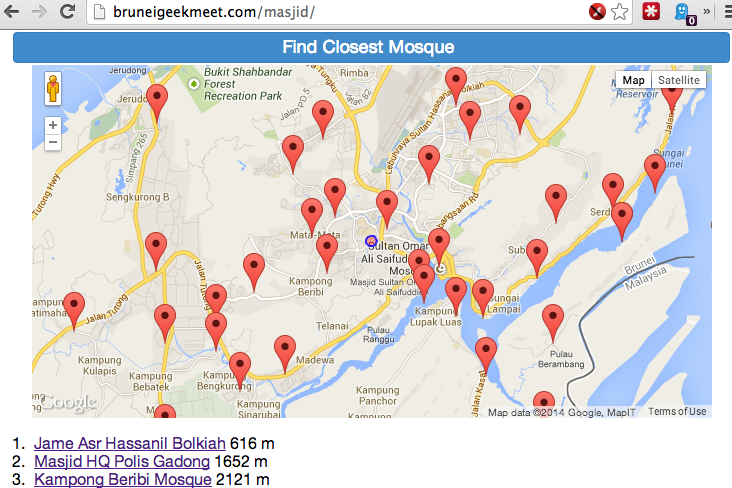 Stumbled upon OpenBrunei’s Map of Mosques in Brunei-Muara and thought I would do a simple geolocation web app. Still needs much work but very usable ATM for those who require it. Don’t have an app icon yet but you can add it to your home screen on iOS, Android and I believe Windows Phone too.